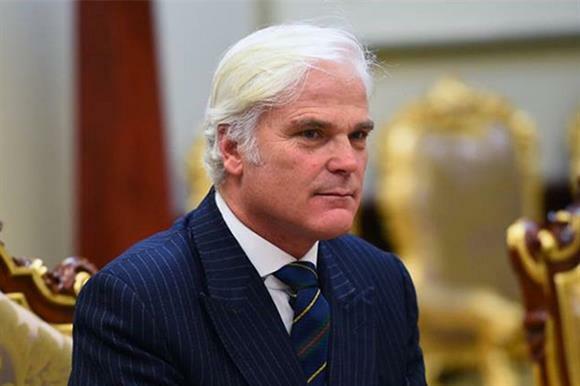 Aid organisations and government need to do more to distinguish between charity and international aid spending, according to the Conservative MP Desmond Swayne. Speaking at a fringe event about international aid spending at the Conservative Party conference in Manchester yesterday, the MP for New Forest West said politicians had failed to educate the public about the aid budget because they felt it was unpopular with voters and so had chosen not to talk about it. This, he said, had led to a "profound confusion" that aid spending was "something to do with charity". He told delegates: "We are not dealing with charity - charity is when you put your hand in your own pocket and contribute. International development aid is taxpayer’s money, extracted from your pocket with all the coercive force of the law and therefore has to be spent in your interest, with an expectation of return. "Charity is something you give away with no expectation of return - we spend our international development aid effort in our interest and that must be the measure of its effectiveness." He said not attempting to make the argument for aid spending was "a profound mistake in a democracy". Kirsty McNeill, executive director of policy, advocacy and campaigns at Save the Children, agreed, but said it was often difficult to get such positive arguments for aid spending covered by some mainstream news outlets. She said, however, that responses to media criticism of how aid money was spent should be nuanced and open. "When colleagues in the media raise legitimate questions, it’s in many ways a public service - we do need scrutiny, it’s a huge amount of public money and we shouldn’t step away from that." She said there was a tendency for language in such coverage to become very binary, taking a pessimistic view that all aid spending was badly managed and failing to improve things, and that Britain was not capable of achieving international impact. "But the way to counter that is not to have the equally binary Pollyanna-ish view that all aid is perfect and it should be exempt from scrutiny," she said. "It should have very detailed scrutiny and we should be happy to provide answers." James Price, campaign manager at the Taxpayers’ Alliance, claimed at the session that if government spending on aid was cut, the amount received by development charities would go up because people would donate more to the causes they were interested in.